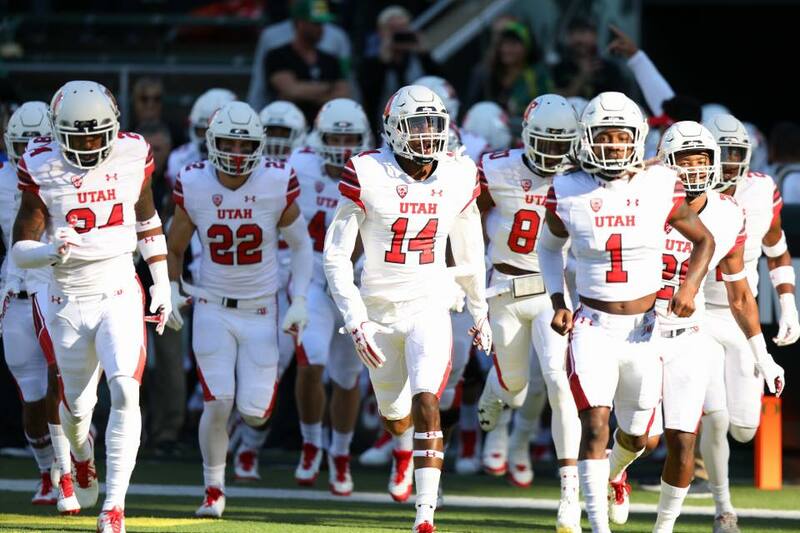 Would the Utes lay down or stand up and fight? Utah rose up bringing fans to their feet! COMMENTARY – Unlike Robert Frost’s famous musings on the road less traveled, there is a well-worn road to victory that the Utes have struggled to find lately. After wandering through a wilderness for the past four games, it looks like Utah has once again found its way and is back on the path to success. So, what do Stella and the Utes now have in common? They both got their groove back. Or the family friendly version would be both the emperor and Utah have a new groove. Football is more than X’s and O’s, more than schemes, and even more than just talent. Recently, Kyle Whittingham has referred to the Utes’ missing ingredient as “edge” and “passion.” Call it confidence, swagger, nastiness, or whatever you like, but Utah hasn’t had it for a while. Let’s just hope the Utes have it back for good and Friday night was not just a belated Halloween costume party in which the players dressed up like something other than their true selves. Early in the game, it looked like Utah’s red zone woes were going to extend to both ends of the field. The Utes first two drives started in the shadow of their own end zone and they only managed a combined total of 19 yards before punting after both possessions. If only the red zone on the opposite end of the field had a similar tractor-beam effect on Utah. However, the offense received a much-needed kickstart from the kicking game as the Utes recovered a fumble on the second punt, setting up the offense on the other end of the field at the 16-yard line. Four plays later, Utah was up 7-0 and never looked back, leading from wire-to-wire. Like a finely tuned sports car, the Utes were hitting on all cylinders Friday night, receiving big contributions from the offense, the defense, and the kicking game. Zack Moss had a career-high 153 yards on 23 carries, with two touchdowns to boot. Utah nearly had two players with 100-yard rushing games as Tyler Huntley had a career-high 93 rushing yards. 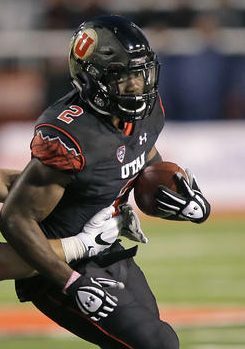 Huntley also threw for four touchdowns, distributing the ball among eight different Utes with at least one reception. With the score 17-10 coming out of the locker room after halftime, the game was effectively decided in the third quarter. Utah’s defense held UCLA to a mere 19 yards of offense in the third, and just 70 total yards in the second half. The Bruins only managed seven points in the second half, while the Utes racked up 31 more points (including a 75-yard touchdown pass on the first play from scrimmage). The kicking game also came up big. Mitch Wishnowsky continues to demonstrate why he won the Ray Guy Award last year and is a strong contender to repeat again this year. Wishnowsky averaged 46.5 yards on four punts. Only three of his punts have been returned this year, including two attempts by UCLA which resulted in a combined net loss of 11 yards. I really wish Matt Gay was the kicker on my fantasy football team as he kicked field goals of 50 and 25 yards, to become the only Utah kicker to kick four 50+ yard field goals in a single season (and he still has three games left to push that total even higher). With three games to play, the dream of a bowl game to end the season is still alive. The Utes end the season with Washington State at home, Washington on the road, and Colorado at home. Utah has to win one more game to be bowl eligible. On paper, it appears that the season finale against the Buffaloes might be the Utes’ best chance for another victory. But the game against the Cougars this weekend is far from a lost cause. As with many games, it will depend on which team shows up to play on both sides of the field. Will we see the Utah that dominated UCLA in the second half last Friday, or the Utes that were clobbered by the Sun Devils and Ducks on back-to-back weeks? Will we see the Washington State that handed USC its first loss of the season, or the Cougars that lost to the Cal Bears by 34 points? It is somewhat telling that both of Washington State’s losses have come on the road, in Berkeley and Tucson. The Cougars are also very one-dimensional, coming in dead last in the conference in rushing (and it’s not even close), but first in passing (again, it’s not even close). Recently, Utah has struggled to stop the run, giving up 347 yards rushing to Oregon and 205 to Arizona State. It may be a nice change of pace for the Utes to be able to pin their ears back and go after the quarterback for the bulk of the plays. It would also help if the state-school-road-game-jinx carried over from the weekend. Last Saturday Ohio State, Penn State, and Iowa State all lost critical road games in upsets. What? True sports fan don’t believe in jinxes and lucky rituals? Utah should take whatever help may come its way from whatever source. Most importantly, what red-blooded Ute fan wouldn’t relish two victories over the Cougars in a single season? Utah’s best chance for a win on The Hill on Saturday afternoon will be to get out to a quick start and score first. The Utes are 4-1 when they score first (with the only loss to the Trojans), but only 1-3 when their opponent scores first (with the only win over North Dakota). Here’s hoping Utah starts fast, scores first, and never takes its foot off the pedal against Washington State on Saturday.